The features you need in a walking shoe can change as you get older. You may be used to wearing heels or boots but discover these no longer work well for walking. The shoes you have used for years when walking for health and fitness or walking the dog may also need to be traded for those that will serve you better. Learn about the changes that happen as you age and the shoes that can keep you walking into your advanced years. Foot widening and lengthening: It is normal for your feet to become wider, longer, and flatter as the ligaments and tendons lose strength and elasticity. Injuries to them accumulate. It is normal to see your shoe size increase by a half size or more. Foot swelling: You may experience foot and ankle swelling due to problems of circulation or the effects of medication and health conditions. You may need a larger pair of shoes for the days when you have more swelling. If you wear compression socks, you need to ensure your footwear can accommodate them without being too tight. Thinning natural cushioning: You also lose the fat pad that cushions the bottom of your foot. You may notice discomfort and fatigue more and more as this natural padding is lost. Cushioned shoes or insoles can help. Skin changes: Dry skin as you age can lead to calluses and you may get cracked skin on your heels. Foot problems can worsen: Bunions, hammertoes, and other foot conditions continue to develop. You may experience the long-term effects of wearing shoes with pointed toes and elevated heels. Gait changes: Arthritis, neuropathy, and other conditions can change your gait, slowing your overall walking speed and sometimes resulting in a limp. This can result in placing pressure on different areas of the foot, leading to discomfort. Gait changes often develop after age 70 and are seen in the majority of people over age 80. Bone density loss: Thinning bones are more at risk of fracture, including your foot bones. Unable to touch your feet: You may lose flexibility as you age and have difficulty bending over or crossing your leg. If you can't reach your feet easily, it becomes a challenge to put on your socks and shoes. You may need assistive devices such as a sock aid and to switch to a non-laced shoe. You may not be able to trim your toenails or wash and dry your feet. Foot problems due to diabetes: More than one in five people have diabetes after age 65. This often results in loss of blood circulation and sensation in the feet. You will need to ensure your shoes fit well and do not rub and cause blisters, which can lead to infection. Balance issues: As you age, your ability to balance and correct yourself if you slip or trip is reduced. You may be on medication that can make you dizzy as well. You will need shoes that have non-slip soles and enough structure for good support, including those with high collars. If you are active and often enjoy walks for health and fitness, athletic walking or running shoes are the best choice. To ensure you are getting the right kind of shoes and they are fitted properly, visit a specialty running shoe store in your area. They don't just serve young competitive runners. They have many long-time customers who look just like you and have similar needs. Your feet will be measured and they will assess your gait to see whether you might benefit from motion control shoes or stability shoes. These kinds of stores may also be able to make heat-molded insoles that will give your foot good support. While walking shoes may work, don't be surprised if they recommend a running shoe instead. Running shoes lead the way in using lightweight cushioning and the latest technology. The right running shoes will flex in the forefoot and have a flat profile with a low heel-to-toe drop. Athletic shoes also have a padded heel collar, which can reduce rubbing in that area. Many are made with seamless uppers to reduce areas of friction. Look for athletic shoes that have a more rounded toe box and come in widths. New Balance is a brand that has long been known for both. They have a few walking styles with hook-and-loop closure if you prefer. Many models of Brooks also come in widths and they are known for their motion control shoes, the Beast for men and the Ariel for women. Ask the salesperson to help you lace the shoes to get a good fit. You want to ensure they are not too tight over the forefoot but can be tightened at the ankle so your heel stays in the heel cup. There are tricks you can use. Don't skimp on getting good socks. Look for sweat-wicking socks that are anatomically-shaped that can reduce your risk of developing blisters. A running store is a good source for these. Always shop for shoes later in the day when your feet may be a little more swollen. Wear the socks you plan to wear with the new shoes so you can ensure you get a correct fit. You may want to visit a specialty foot and ankle store to get recommendations for inserts, shoes, and shoe modifications. If you have significant foot pain or gait difficulties, discuss these with your doctor or podiatrist for a full assessment. Supportive and cushioning insoles can give you greater comfort or you may need a prescription orthotic. Propet is a brand that has a variety of shoe designs that include hook-and-loop tab closure rather than laces, extended widths, and other features you may need. They have a range of styles including athletic shoes, dress shoes, boots, sandals, and slippers. Many of their styles are rated as Medicare-approved diabetic shoes. New Balance makes several models with hook-and-loop closure rather than laces. These include the 577, 813, which are Medicare-approved as diabetic shoes, and the 411 and 928, which come in extra wide. These shoes have leather construction and come in colors such as black, white, and tan. Silvert's sells adaptive clothing and footwear from a variety of manufacturers that can address needs such as very wide-fitting shoes, shoes with added depth to accommodate orthotics, shoes that are adjustable for foot swelling, and shoes with anti-slip soles. Pointy-toed boots or shoes: If you love your cowboy boots, it can be tough to give them up. But boots and pointy-toed women's shoes constrict your toes and can rub and cause sores. Look for square-toed or round-toed versions that give your toes wiggle room. Shoes with heels taller than 2 1/4 inch: An elevated heel raises your risk of turning your ankle and doing more damage if that happens. This is true for wider heels as well as skinny ones. Slick-soled shoes: You need to reduce the chances of slipping and falling. Look for non-slip soles on all of your footwear. Low-back or backless clogs, sandals, or flip-flops: You risk walking right out of these types of shoes on an incline and you can't get a good walking motion while wearing them. Look for styles that have a comfortable, padded backstrap. Avoid any sandals that give you hot spots or blisters where the straps rub. Flimsy shoes: You need more structure to cushion and support your foot as you age. Even the slippers you wear around the house should have a firm sole. Rocker-soled shoes: This type of shoe is not recommended if you have any difficulties with balance or your gait is not steady. Old, worn-out shoes: Shoes lose their support and cushioning as they age. You need to check your shoes and get new ones when you see wear on the sole, upper, or inside. 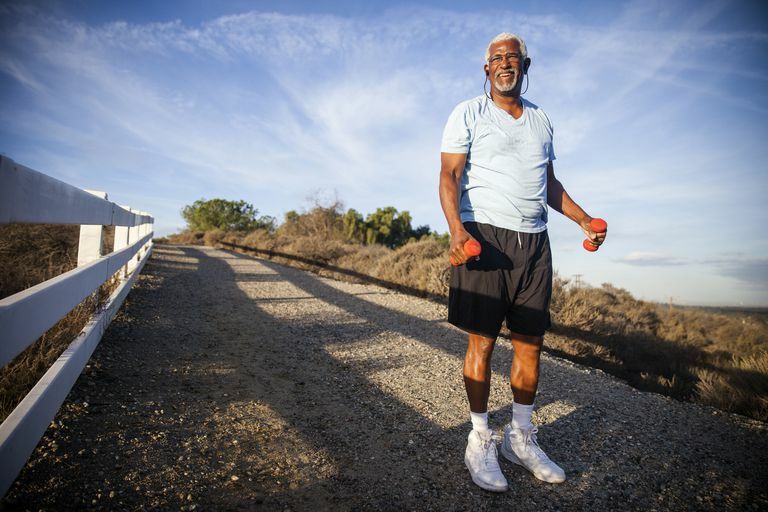 Maintaining an active lifestyle is important for your health and independence as you age. Sometimes that will mean switching to shoes that don't match your usual style. Understanding what to look for in shoes can help you make the best selection. Be aware that any shoes should feel right as soon as you put them on, without a break-in period. Treat your feet to the right shoes so you can keep walking. Aboutorabi A, Bahramizadeh M, Arazpour M, et al. A systematic review of the effect of foot orthoses and shoe characteristics on balance in healthy older subjects. Prosthetics and Orthotics International. 2015;40(2):170-181. doi:10.1177/0309364615588342. Hatton AL, Rome K, Dixon J, Martin DJ, Mckeon PO. Footwear Interventions. Journal of the American Podiatric Medical Association. 2013;103(6):516-533. doi:10.7547/1030516. How to Assess Changes in Feet: Normal or Abnormal. American Orthopaedic Foot & Ankle Society. Shoes: Finding the Right Fit. American Academy of Orthopaedic Surgeons.